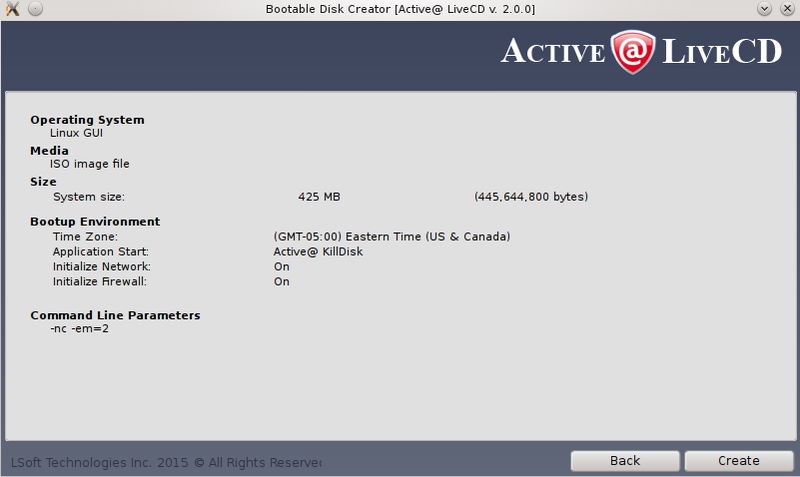 Active@ Boot Disk Creator helps you in preparing a bootable CD/DVD/Blu-ray or a USB Flash mass storage device. This device can be used to start a computer with a damaged hard drive and recover data, recover partitions, wipe or erase data, create a disk image or repair security access issues. 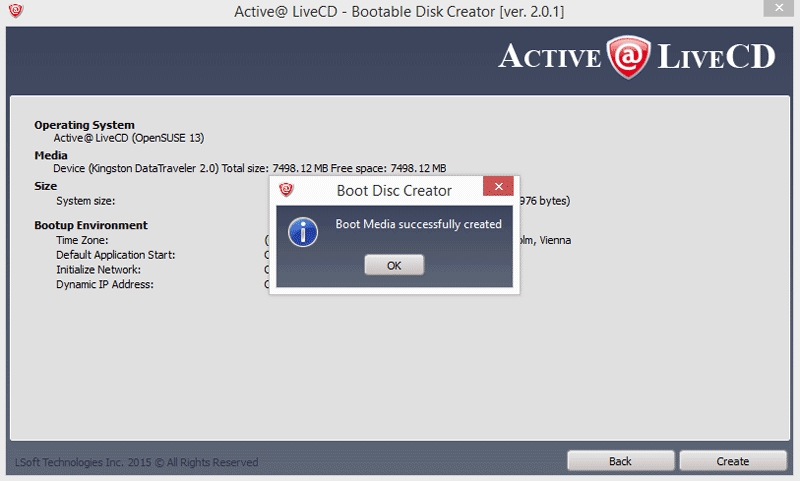 1 In the Active@ Boot Disk Creator main page, select the desired bootable media: CD/DVD/Blu-ray, USB Flash Drive or pre-configured ISO Image file (to be burned later on CD/DVD/BD). If several media drives are inserted, click the ellipsis button (…) and choose a particular device. 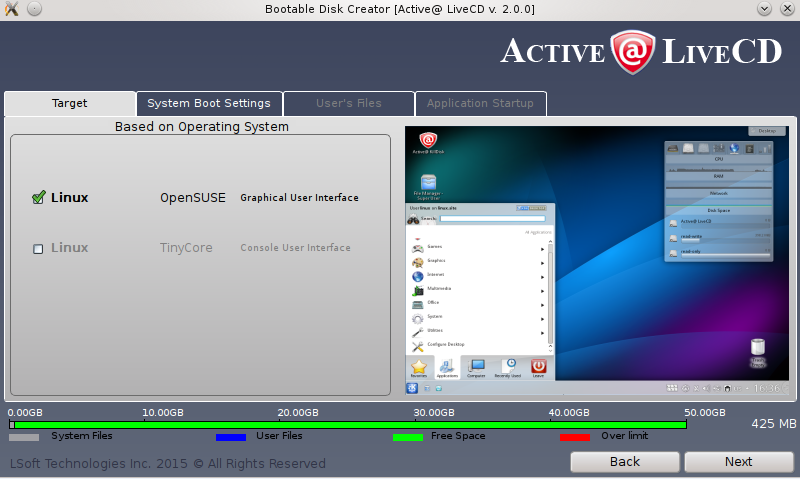 2 If you have purchased commercial version of Active@ LiveCD, click Registration link to register software on your or your business name. Registration eliminates freeware version limitations and activates all professional features of the software. 4 Make sure that Linux OpenSUSE checkbox is selected. a. To specify additional boot options, click System Boot Settings tab. You can change default settings to be used: Time Zone and Default Application startup mode. 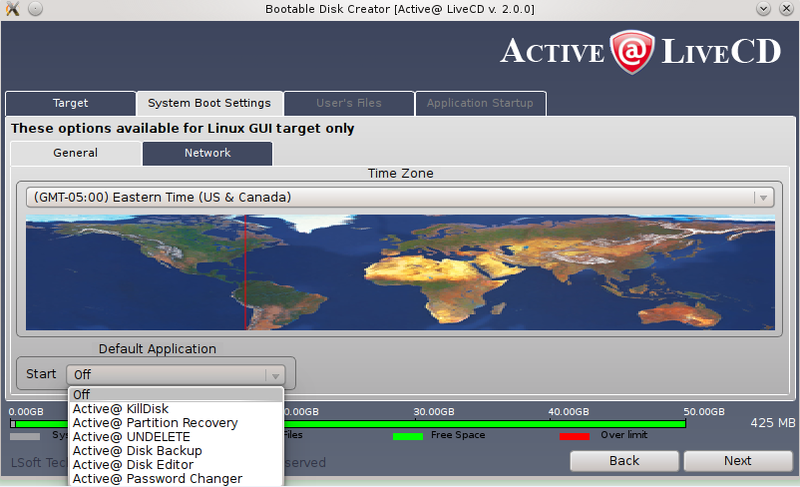 Default Application option allows you launch any of Active@ software products at system boot up. b. Network - second level tab allow you to pre-define Network Settings: network initialization, dynamic or static IP configuration and firewall state. 5 Click Next. Verify the Selected Media, Sizes and Boot-up Environment. 6 Click Create. A progress bar will appear while media is being prepared. 7. 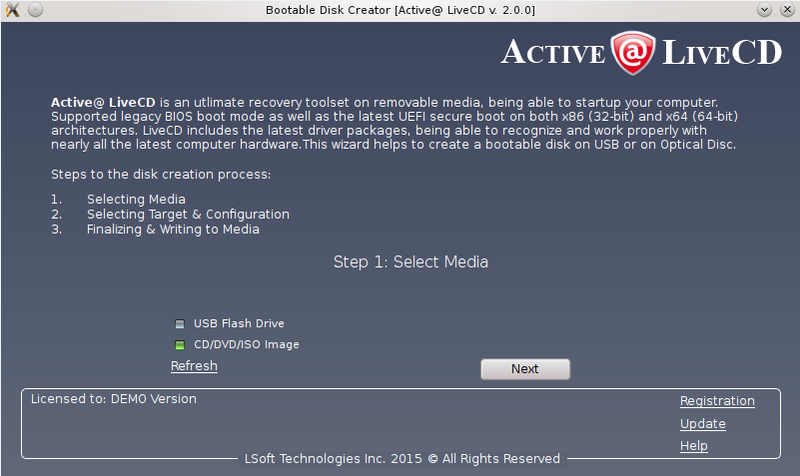 You bootable drive is ready for use, click OK and Finish to exit the setup. Note! 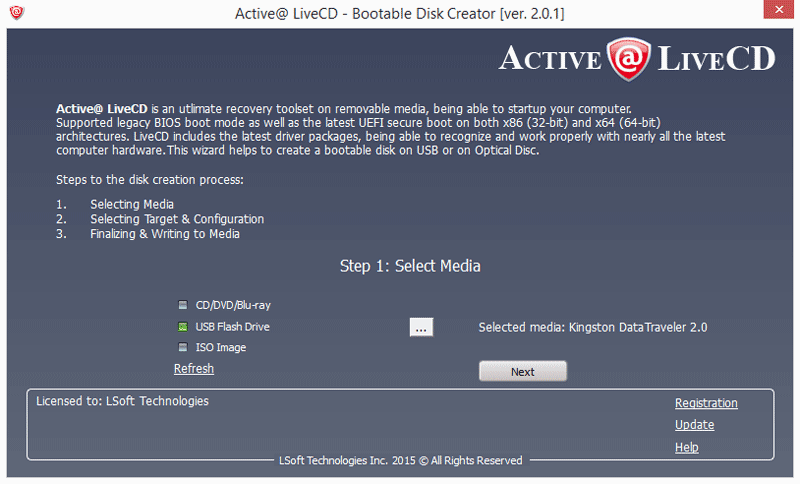 USB Drive or blank CD/DVD must be inserted and chosen explicitly on the first step, before you can proceed to the next step. thus all data residing on the media will be erased.